Packet contains 10 Christmas cards of the image shown. Cards are blank inside and come with 10 matching white envelopes. Cards are 4.25 x 5.5 inches. 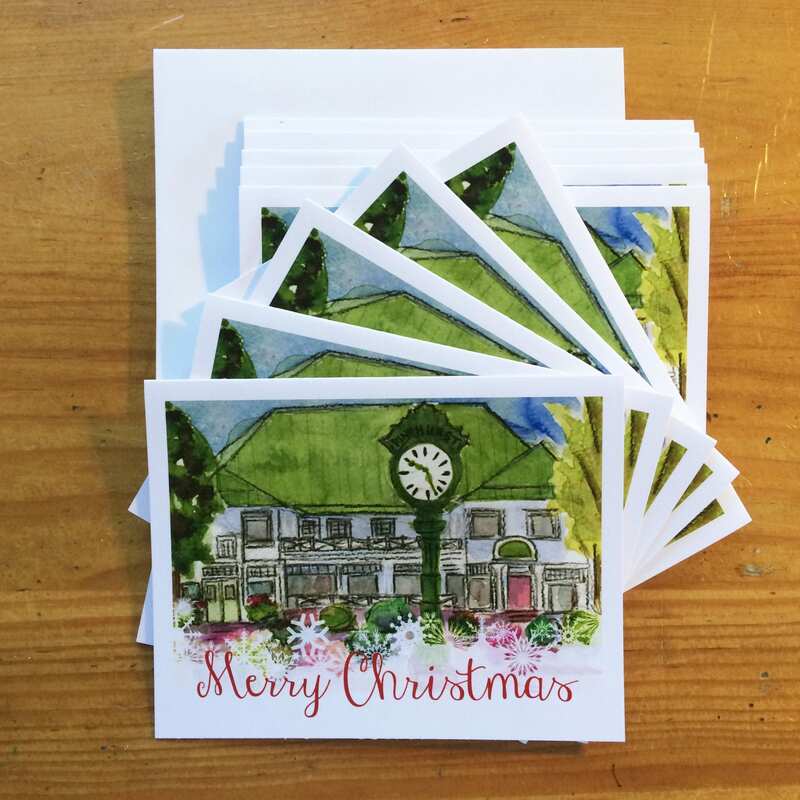 Image is from an original watercolor painting painted en plein air in the village by Jane Ellen Tercheria, and is one of a set of “Postcards from Pinehurst”. © Jane Ellen Tercheria. All rights reserved.